Immerse yourself in Laura Ingalls Wilder’s beloved Little House series, now featuring Garth Williams’ classic art in vibrant full-color! 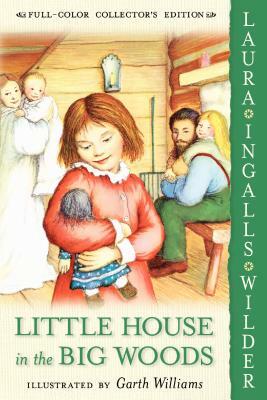 Little House in the Big Woods, the first book in the Little House series, takes place in 1871 and introduces us to four-year-old Laura, who lives in a log cabin on the edge of the Big Woods of Wisconsin. She shares the cabin with her Pa, her Ma, her sisters Mary and Carrie, and their lovable dog, Jack.